I have the honour to work with Springleaf Prata back in 2014 for the Ultimate Hawker Fest. 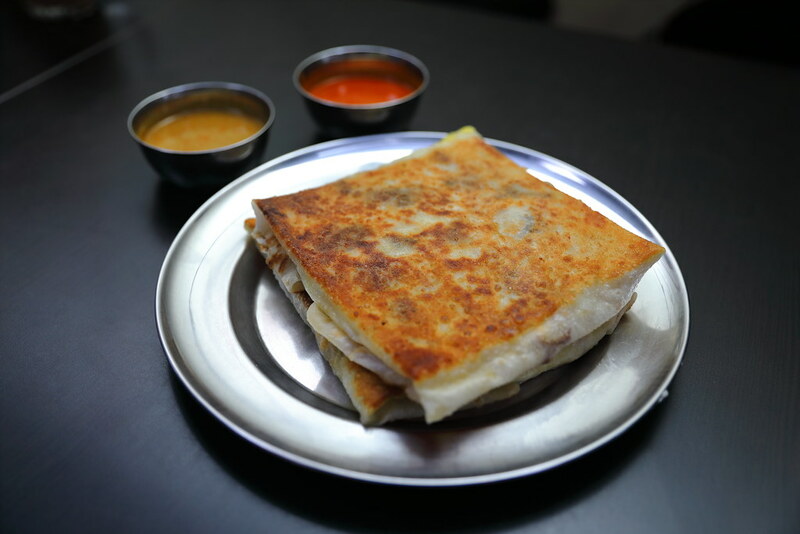 Springleaf has been creating new innovative prata items every year since 2012 and introduced them into their menu. When I got words that it has created a new prata for 2017, I made my way down to their newest outlet at Jalan Tua Kong to check out their newest creation - Prata Alfredo! The all new Prata Alfredo ($9.90) comes with rosemary smoked chicken, fresh button mushroom, mozzarella cheese and creamy alfredo sauce, all stuffed into the prata. 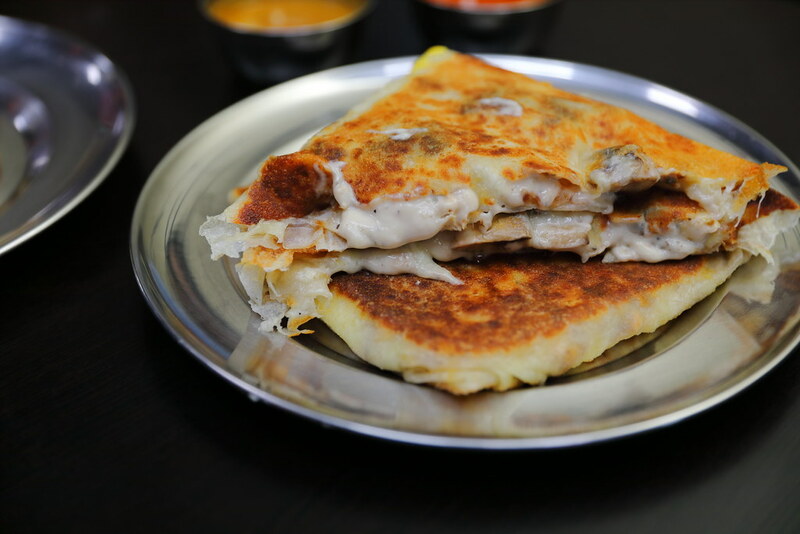 This is your ultimate creamy and cheesy prata with delectable mushroom and smoked chicken pieces encased in a crispy exterior, yet fluffy interior prata. For that instinct, it felt like I was having a cheesy toast. The latest creation definitely brings a new excitement to the traditional prata with an enjoyable western influences. I can't visit Springleaf Prata without trying the Plaster Blaster which we collaborated with Springleaf Prata to create for the Ultimate Hawker Fest back in 2014. Actually this is the version 2 because it has replaced the original masala hollandaise sauce with normal hollandaise sauce. 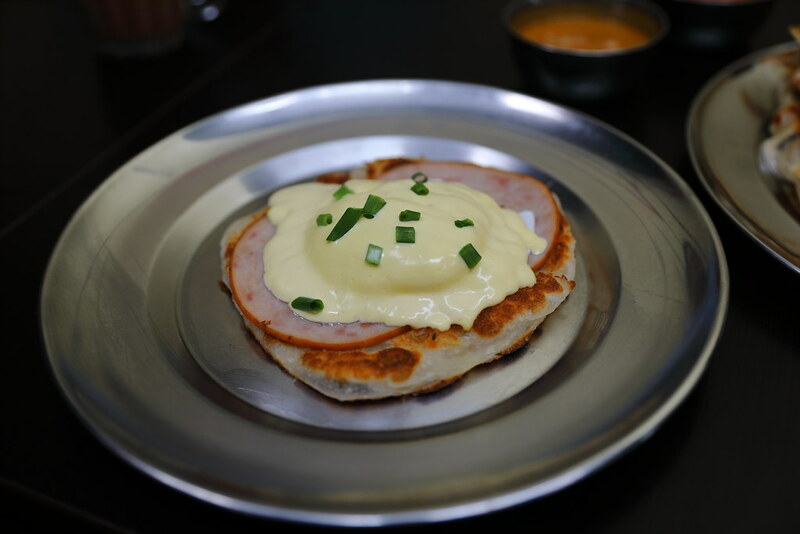 Don't be despair as the restaurant still serves the original version, you just need to inform the staff that you prefer the masala hollandaise sauce over your crispy prata with turkey ham and poached egg. Not known to many is Springleaf's Red Bean Prata. 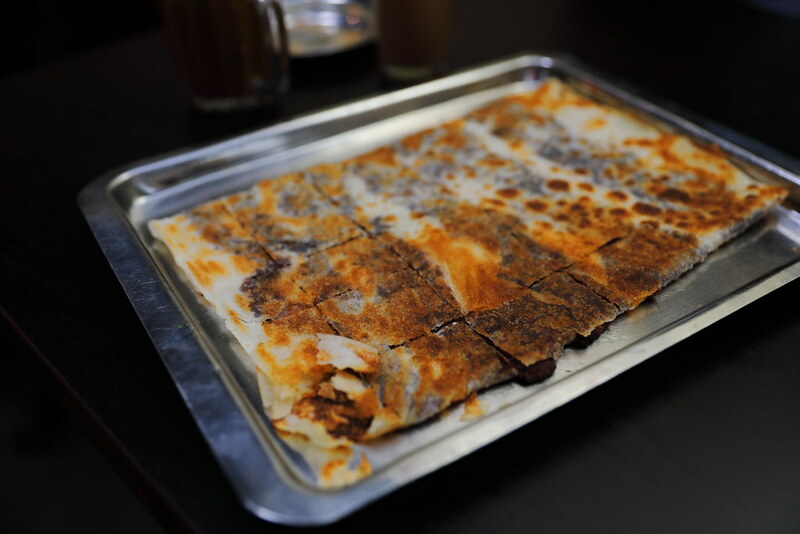 The extremely thin tissue-like prata with sweet red bean paste may seen unassuming but this is a surprise favourite on the menu for me. The first time I had it, I thought it tasted like our Chinese pancake. Not to be missed is their Umami 50 and Salted Egg Prawn Prata creations for 2015 and 2016 respectively. The Umami 50 was created for Singapore's 50th birthday to signify 50 years of deliciousness in Singapore. 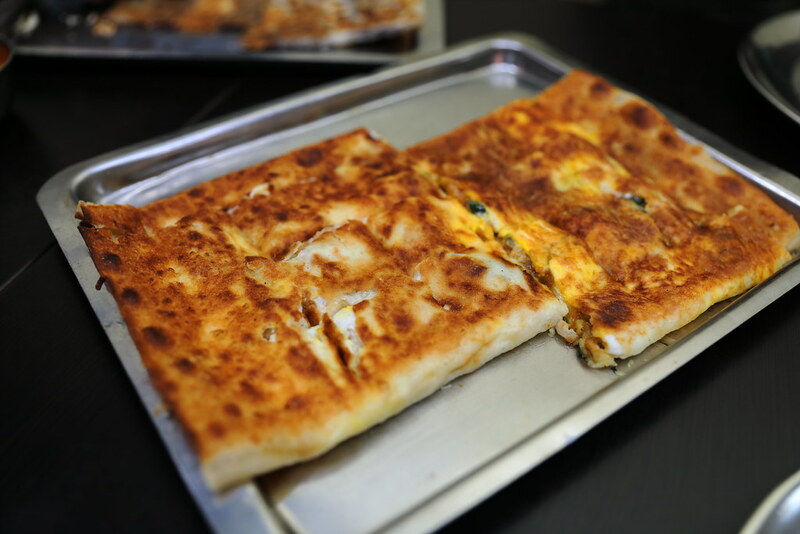 The Umami 50 is also known as your heart attack prata as it is wrapped with chicken luncheon meat, chicken floss, mayonnaise, condensed milk, cheese and egg. I was initially sceptical but I was sold once I have a bite of it. The other highlight is the Salted Egg Prawn Prata, driving on the bandwagon of the salted egg yolk trend in 2016. The combination of salted egg yolk sauce, cheese, egg and prawn is a new for prata with hint of curry aroma. 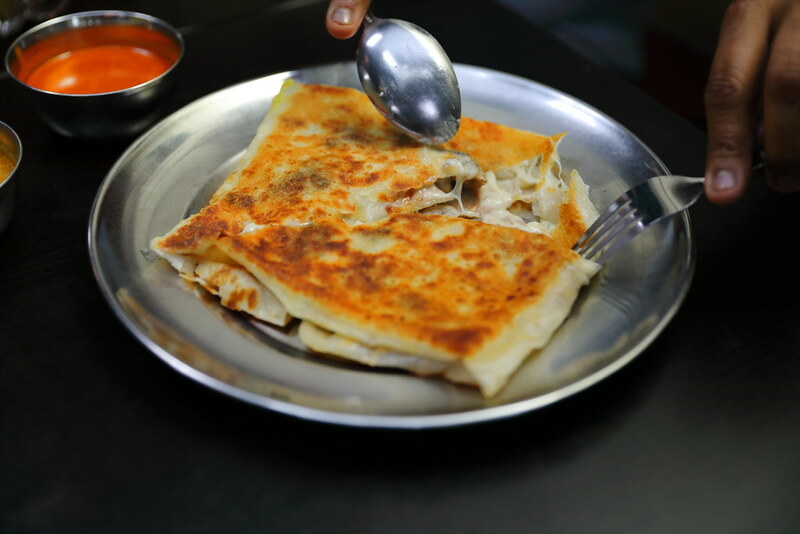 The prata is packed with savoury richness that hits me like tank, complemented by the crunchy prawns in it.